HE Minister Papa Abdoulaye Seck is currently the Minister of Agriculture, Senegal. Previosuly he was Director General of Africa Rice Center (AfricaRice), Director General of the Senegal Agricultural Research Institute (ISRA) and Technical Advisor to the Prime Minister of Senegal among other roles. Dr Seck has received the title of Chevalier in the Order of Agricultural Merit of France and other respected awards. He is a specialist in agricultural policy analysis and strategy. 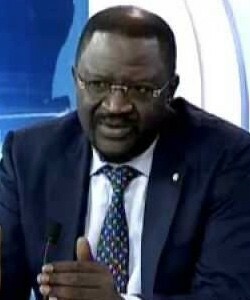 He is a permanent member of the Senegal Academy of Sciences and has the rank of Director of Research (Prof.). He is on the advisory board of several international organizations.